The article developed the basic geoelectric models that take into account the seismoelectrical effect. These models are used in processing algorithms of the geodynamic information that can increase the accuracy of the estimates under the control of geodynamic processes and phenomena in the surface layers of the geological environment. The simulation of the action of longitudinal and transverse modes of seismic waves on the small particle environment. Describes the behavior of a one-dimensional model of the environment under the joint action of the longitudinal and transverse modes of seismic waves. Implemented a mathematical model of the two media under the action of longitudinal elastic deformation effects. The dependences of the relative change in the transmission coefficient for the two media from the electrical parameters of contrast media as resistivity and dielectric constant. Based on the findings of mathematical modeling proved high efficiency of seismoelectric effect in systems geodynamic control. Keywords: geodynamics, geoelectric method, seismic method, monitoring system, data processing algorithms. Korolev V.A. Monitoring of the geological environment. – Moscow: Moscow State University Press, 1995. Svetov B.S. On the theoretical justification of the seismoelectric method of geophysical prospecting // Geo-Physics, 2000, № 1. – P. 28-39. Kuzichkin O.R., Bykov A.A., Kutuzov A.S. Integration of seismic and geoelectric methods in geodynamics control // Methods and devices information transmitting and processing, 2012, № 14. – P. 45-48. Chanturishvili L.S., Chelidze T.L., Chelishvili M.L. The rocks in the physical fields. – Tbilisi: Tbilisi State University Press, 1971. Orekhov A.A., Kuzichkin O.R. Effects of interference form factors on the holding of the electromagnetic testing geodynamic objects // Radioindustry, 2012, № 2. – P. 138-147. Tsaplev A.V., Kuzichkin O.R., Kamshilin A.N. Study the impact of climate interference in multi-channel measurement device geoelectric signals // Radiotechnics, 2008, № 9. – P. 129-133. Potapov O.A., Lizun S.A. Fundamentals seismic research. – Moscow: Nedra, 1995. Landau L.D., Lifshitz E.M. The theory of elasticity. – Moscow: Nauka, 1968. Kuzichkin O.R. Assessing the impact of the bias currents to the results of the processing time series geomonitoring karst // Methods and devices information transmitting and processing, 2006, № 7. – P. 59-64. Konstantinov I.S., Kuzichkin O.R. 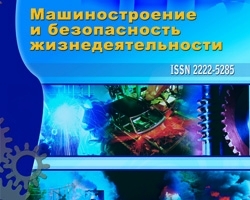 The organization aided electromagnetic testing geodynamic objects // Information Systems and Technology, 2008, № 4. – P. 13-16.